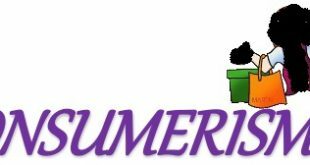 Keywords: SMEs, Marketing, Networking, Word of mouth (WOM), Green marketing, Limitations, Constraints Green Marketing, Research Paper Example, Research Paper Topic, Thesis Paper Example, Thesis Paper Sample, Marketing Research Paper Example. This study aims to explore how green marketing can be adopted in the confinements of small to medium-size enterprises (SMEs) and to offer any recommendation that could be made for the concept to be utilised to both a competitive advantage and the benefit of the environment. To explore the concept of green marketing in SMEs, a qualitative research using semi-structured in-depth interviews amongst six respondents of a small to medium-size B2B business located in Reading was used. Marketing in SMEs is centered on building relationships with customers (customer engagement) most effectively through networking and word-of-mouth communication. Hence, any traditional form of marketing is perceived to be more of an afterthought. Thus, green marketing is then delivered inconsistently. This study used one SME context within a given region in the UK. It must then be acknowledged; the research findings may not be generalisable and perhaps very limited. Future research could add to the number of SMEs to study and also across different regions in the UK. This study offers insight into different strategic efforts to suggest how SMEs could effectively deliver green marketing for a competitive business advantage in small B2B dynamic markets. Studies’ aligning how green marketing is adopted in large organisations compared to smaller businesses is very limited. Thus, this study is of benefit to academics as a foundation to future researches and also to managers as a new form of marketing for their businesses. The importance of small and medium size enterprises (SMEs) to the UK economy has not gone unnoticed (Mole, 2002; Hoffman et al., 1998). In 2015 there were 5.4 billion SMEs in the UK, representing over 99% of private sector businesses (Rhodes, 2015). Moreover, according to the UK Government and Department for Business, Innovation and Skills (BIS), found SMEs account for 59.3% of private sector employment and a further 48.1% in turnover. Mole (2002) argues the result of heavy competition is productivity, which in turn stimulates economic growth. BIS (2013) indicate, as the level of competition increases a ‘churn’ within the market exist; which sees less productive firms leave and the most productive grow, resulting to an increase in aggregate productivity. Given, the significance of size held by SMEs as outlined in the previous paragraph, it is quite predictable small and medium enterprises make a disproportionately large contribution to job creation. The study by (BIS, 2013) found SMEs have been increasing their share of total employment consistently year on year and in 2010 tripling shares of that 1998. However with the constant changing needs of customers, global competition and technological progress; has resulted to a competitive environment for SMEs to compete in (Singh et al., 2008). The importance of marketing, indeed, has grown over the years (Moorman and Rust 1999; Walsh and Lipinski, 2009). According to Churchill and Lacobucci (2005), every business in a competing environment should have a full understanding of their marketing capacity, adding no business will be able to again or retain customers without marketing. Although, several studies have shown the significance marketing has in the success of large firms, its role in small businesses (SMEs) is even more critical, where the loss or gain of one customer could determine their survival (Becherer et al., 2008). SMEs have their own unique set of characteristics that distinguishes them from larger organisations (McCartan-Quinn and Carson 2003). For this reason, the established definitions and concept of marketing are not useful to SMEs (Gamble et al., 2011; McGartan-Quinn and Carson, 2003), these concepts and theories (see, Kotler et al., 2008; Brassington and Pettitt, 2007) concentrate on aspects such as marketing research, the 4 and 7ps, which are more suitable to the context of larger organisations in ownership of a wealth of skills and marketing experience (Hulbert et al., 2013). Thus, the marketing function in SMEs has received plenty of attention from practitioners over the years (Reijonen, 2010; Berthon et al., 2008; Gilmore et al., 2006). The marketing activities of SMEs is highly restricted by the lack of financial resources and lack of marketing expertise (Walsh and Lipinski, 2009). In addition, a critical review of the literature suggest, one of the main obstacles to marketing in SMEs is the mentality of owner/managers (Carson, 1990; Wijewarden et al., 2008; Simpson et al., 2006). Research suggests; this mentality in most cases has an affect on the strategic implementations of the business, which in turn has a direct impact on any marketing activities (Reijonen, 2008; Ramsey et al., 2003). Evidently, for SMEs to explore new avenues to strategic advantage and market advantage the owner/manager needs to recognise the importance of strategy formulation and implementation (Darcy et al., 2010). This paper is organised as follows: the literature review firstly addresses SME marketing issues and characteristics. 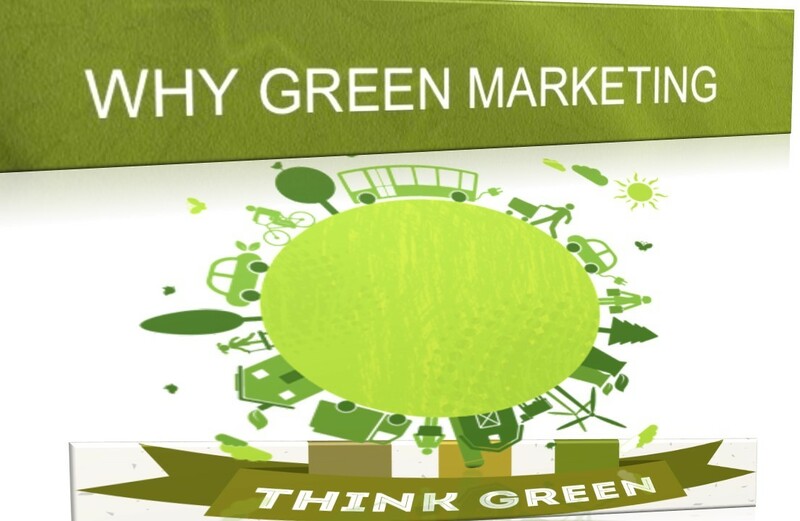 In addition, green marketing as a theoretical lens to a new way of marketing. Next, the qualitative exploratory methodology is explained and justified. The subsequent sections then indicate the findings and then a discussion. The paper is then concluded, followed by management guidelines and direction for any future research. SMEs that put marketing in the forefront of their strategy perform better than those who do not. Successful SMEs set time aside to plan marketing formally. The adaptation of formal and conventional marketing concepts, according to O’Donnell (2004) and Carson (1990) can be attributed to the lack of marketing in some instances, The majority of the SME marketing literature identifies a form of marketing unique to small businesses (Stokes, 2000; Carson et al., 1995; Carson 1993), but this is highly influenced by the behavior of the owner/managers of the small business. A primary consideration however in understanding SME marketing according to Murray et al (2002) is the positioning of the SME within a dynamic environment; resulting in SME marketing decision being addressed in a non-sequential, unstructured and haphazard fashion; evidently, leading to spontaneous, reactive, informal and continuously- evolving marketing activities. Moreover, it is argued marketing in SMEs continues to progress throughout the lifecycle of the organization in responses to market demand and new products; while meeting customer needs, taking into consideration the behavior and intrinsic characteristics of the owner/manager. In addition, the life cycle and size of the firm (Gilmore et al., 2001; Carson, 1993). Such findings are reflected in the early studies of Romano and Ratnatunga (1995) who identified SME marketing strategies to be associated with factors such as product quality than any formalized marketing strategy. The resulting marketing decisions converged around product or service range diversification quality of service provided, pricing, and cash-flow management, all of which Carson et al (1998) suggest stems from the interpretation of the external marketing environment and the business vision. Evidently, it is this interpretation that is significantly important to the marketing decision-making, dependent on the continual development of the experiential knowledge garnered by entrepreneurs in the market (Grant et al., 2001; Carson et al., 1998). Also, key competencies of the owner/manager are integral to the formation and depth of experiential knowledge such as creativity, intuition, vision, motivation, communication, leadership, experience, knowledge and judgment (Hill, 2001; Hill and Fallis, 1995; Carson, 1993). Thus, why it is argued the marketing characteristics of an SME in most cases are derived from the experiential knowledge of the owner/manger of small businesses and its general characteristics, such as the scale and scope of operations, ownership, distinctive managerial style, limited resources and independence (Carson and McCartan-Quinn, 1995). As a result, forming an inherently innate method of doing business, which Grants et al (2001) suggest allows the focus of achieving competitive advantage through added value marketing approaches. As indicated by O’Dwyer (2009) and Carson (1993) SME approaches have little or no focus on the traditional marketing paradigm of the 4 and 7 Ps. Instead, significant emphasis is put on networking and word of mouth (Reijonen, 2010). A competitive advantage for SMEs emanates from communication activities, such as interaction and participation of in a social, business and trade context forming the primary source of marketing intelligence (O’Dwyer and Carson, 2009). Carson and Grant (1998) and Gilmore et al (2001) found that within the context of marketing decision, there is positive believe that networking with people, companies, associations outside of the organisation allows the firm to be successful (Shaw 2004; 2002) and Hill (2001). They go on further to acknowledge SMEs use networking as an inherent marketing tool. O’Donnell and Cummins (1999), indicate for small businesses to grow and perhaps break into new markets, owner/managers find their greatest challenge is to access new established networks in order to gain market intelligence. According to Gilmore et al (2001) the cost of marketing through networking are implicitly hidden simply because any explicit expenses or cost is low in the immediate term. Moreover, Reijonen (2010) found a great emphasis is equally placed on word-of-mouth communication (WOM). SMEs tend to utilise this concept as a significant way to market themselves, their products and services. For owner/managers the concept of WOM is much preferred because it suits well with limited resources, and a slow build up of customers that the SME can manage. A disadvantage however overlooked SMEs is the self-limiting factor of WOM to the confinements of the networks involved in and the non-controllable nature (Strokes, 2000). Undoubtedly, SMEs continue to face limitations that hinder their marketing strategy. Carson (1993) identifies two key factors contributing to the under utilisation of marketing in the SME context. As, previous research recognising marketing is used on ad-hoc basis, with little or no recognizable impact on performance. Also, SMEs fail to recognise the usefulness of marketing, as the early stages of growth mainly stems from unplanned and informal marketing. Furthermore, earlier studies have found SMEs lack entrepreneurial and innovative sprit (see, Hakim, 1989; Davidsson, 1989; Storey, 1994). In addition, SMEs find it very difficult to acquire external financial resources (BIS, 2013). The lack of capital is in most cases is the main hurdle to the SME (Carson, 1985). The structure of financial markets means SMEs face an up hill battle to acquire financial support (Cressy and Cowling, 1994); as a result much of the capital is gained through internal sources (Deakins, 1999). Small firms have higher levels of creditors relative to total asset and stock levels. In addition, lower levels of retained profit than larger organisation (Chittenden and Bragg, 1997). According to BDRC Continental (2013) emphasis on the lack of financial resources for SMEs do not only discount growth, but hampers the businesses survival prospects. Additional barriers are as limited access to, but also the exploitation of marketing intelligence and analysis (Martin and Rana, 2001; Goodman 1999); the lack of observation and restricted view of the environment (Simkin, 2002); and inadequately able to distribute or delegate tasks across the workforce (Low and MacMillan, 1988). Despite the fact many studies show competence in marketing is a key determinant for success or failure in SMEs (Chaston, 1997). Simpson et al (2006) argues there is very little evidence to suggest marketing is a key performance indicator. In support of such argument, Reijonen (2010) points out, there are many factors in the SME and within the business environment that have direct influence on performance. Thus, Simpson et al (2006) argue that depending on certain business conditions and the dynamic nature of the business environment will determine the success of the marketing orientation. SMEs continue to face several challenges in regards to their marketing initiatives. There seems to be an inclination to focus on tactical issues rather than strategic issues (O’Dwyer et al., 2009; Blankson et al., 2006). In addition, SMEs are more concerned with short term planning rather than the longer term (Blankson and Stokes, 2002). Moriaty et al (2008) went as far as to suggest, owner/managers have a lack of understanding of not only the definition of marketing but also its application. And, see the concept as problematic and troublesome (Krate, 2005, p. 229). As SME marketing continues to be conceptualised in the literature, new forms of marketing continue to emerge (Wagner, 1997). The last three decades have seen a progressive increase in consumer environmental consciousness and the environment shifts from a fringe, to a mainstream issue (Kalafatis et al., 1999). The shift has been driven by different factors including, awareness of environmental problems, and the rise in pressure groups and media coverage. Proactive marketers have already implemented long-term environmental strategies in order to utilise this new phenomenon. The literature on green marketing shows a variety of understanding. Polonsky (1994) and Prakash (2002) indicate green marketing initiatives include all activities designed to satisfy the consumer intended needs and wants with minimal detrimental impact on the natural environment. It is the facilities that specialise in experiencing nature or operating in a fashion that minimises environmental impact (May, 1991; Troumbis, 1991; Ingram and Dust 1989). Bukhari (2011) defines the concept as the means of selling products and/or services that have been founded on their environmental advantages, moreover, where the product or service itself is considered to be environmentally friendly or conceived in an environmentally friendly manner. A critical review of the literature makes evident the numerous reasons why organisations aim to adopt/ increase the use of green marketing. Certain organisations believe to have a moral obligation to be more socially responsible (Davies, 1992), for others it is an opportunity to achieve objectives (Shearer 1990; Keller 1987), or the aim of reducing cost in the long-term (Azzone and Manzini 1994). According to Smith et al (2010), despite the presence of green marketing in the early 1970’s, the concept failed to materialise, as marketers were unable to match any benefits from green marketing to the traditional forms of marketing. The study by Kotler and Keller (2006) found marketers tried and failed with green ‘sales’ due to restricted views of the concept. Additionally, Kangis (1985) suggest the failure was further due to ‘false marketing’ as a result of the poor underpinning of the philosophies and principles. Despite some attention in the 1970’s, the prominence of green marketing became more of a factor between 1985 and 1990 (Peattie and Crane, 1998). The rise in public concern over environmental issues sparked a dramatic increase in the number of ‘green’ product/service values (Drumwright, 1994). The growing consumer interest in green products and services, in addition a pronounced willingness to pay for green features (Roper Organisation 1990; Mintel 1991; Worcester, 1993), has resulted in marketers using this knowledge to enhance the credibility of their marketing; in other words transforming crisis into opportunities, using the green philosophy theory and applying it to communication tools (May et al., 2007). There is no shortage of agreement within the literature that a well-practiced green marketing initiative can lead to competitive advantage (Leonidou and Leonidou, 2011; Banerjee, 2001; Porter and Van der Linde, 1995). Successful green organisations have learned to go the extra mile, beyond the niche market of only dealing with pure green products by embracing innovative practices and approaches (Dean and Pacheco, 2014). The initiative of going beyond, has seen some companies develop products and services that create environmental value and in addition, combine these values with a sense of functional and emotional appeal (May et al., 2007), the combination of which, offer intrinsic value to the end user (Hansen and Juslin, 2001). Given the advantages of green initiatives as outlined in previous paragraphs, it is quite predictable that the drawback of such concept could be significant. In a recent paper by Dean and Pacheco (2014) it is suggested when practiced poorly, green marketing could lead to very disappointing outcomes for the organisation, or worse, consumer backlash. Organisations fail to understand the implications, thus, never fully engaging with the concept (Makower, 2011; Davis, 1992; Said, 1994). Indeed, organisations must be very cautious when deciding to employ green marketing; the use of green initiatives must not mislead consumers, the industry or breach any government regulations (Polonsky, 1994). Mayer et al (2007 p.364) and Ottman (2001 p.25) suggest that green marketing requires new marketing and management strategies that have the power of addressing key challenges relating to “how is green marketing defined, how can the organisation develop green products and services that customers will like and in addition, how the organisation should communicate its commitment and initiatives with credibility and impact”. Mayer et al (2007 p.374) suggests green initiatives that do not consist of environmental substance may lead to the appearance or the reality of greenwashing. Green Life (2005); define ‘greenwashing’ as using the concept to generate positive press about the organisations environmental commitment. Additionally, the Macmillan Dictionary (2006) defines ‘greenwashing’ as the situation where an organisation claims to be doing something beneficial to the environment through the involvement in small green initiatives as a way of hiding their involvement in activities that are damaging to the environment. Previous studies suggest, general business strategy reflects upon a dichotomy between reactive and proactive strategies (Argon-Correa, 1998; Larson et al., 1990; Sandberg, 2002). A reactive strategy is known to be when organisations respond to changes as they develop in the external environment (Sandberg, 2002; Bennett, 1996). Conversely, a proactive strategy mirrors the organisation being a step ahead in responding to external threats (Jauch and Glueck, 1988), and in addition creating new opportunities in the environment (Johannessen et al., 1999). The research is used as a premise by McDaniel and Rylander (1993) to propose two main approaches to green marketing; the first is a defensive strategy and the second being assertive strategy. The former strategy follows regulations of environmental management (Miles and Covin, 2000), requires the minimal level of resources (tend not be very expensive and low in risk) and according to Menon et al (1999), consists of low organisational commitment, short term orientation, and moreover, low involvement from owner/managers. A study by Peattie and Crane (2005) asserted that green marketing over the years has suffered due to what is often a defensive, short-term orientation. The issue being the failure of firms with a green vision, however their lack of long-term success could be easily due to a sales orientation with the absence of accurate marketing research and furthermore, ineffective use of marketing communication to allow the education of customers. An assertive approach, in contrast requires greater level of resources (tends to be more expensive and risky), with more organisational commitment including internal policies that have great reflection of the level of management, employee involvement, and is more long term in orientation (McDaniel and Rylander, 1993; Peattie and Crane, 2005). Additionally, Peattie and Crane (2005) suggest a genuinely assertive green marketing strategy will enable focus on the needs of current and future generation of customers but also other stakeholders through innovative solutions. A contrary explanation by Mendleson and Polonsky (1995) indicate green marketing could be developed through strategic alliances. The joining of forces enables partners to profit from each other’s experiences (Jeannet and Hennessey, 2003; Westley and Verdenburg, 1991). An organisation forming a strategic alliance with an environmental group significantly increases the credibility of their products and services including associated claims (Mendleson and Polonsky, 1995). The customer is four times more likely to believe claims made by environmental groups than those of the organisation (Australian National Opinion Polls, 1992). A green marketing initiative does not only have a positive impact on the environment (Iravania et al., 2012; Lee, 2003), but evidently has the potential to attract new but also retain old customers (Azad et al., 2013). For this reasons the topic has an even greater relevance to SMEs (Darcy et al., 2014). And so this study therefore aims to explore aspects of green marketing theory and practices that could be applied in a small business context. EST Marketing is well placed to promote and support the growth and awareness of client products and services over the phone with almost half of the workforce representing the organisation as telemarketers. The organisation works proactively with clients to create bespoke telemarketing campaigns with maximum impact; resulting to the achievement of business objectives. Having been in operation for almost 13 years serving as a true extension to clients, the organisation offers regular courses crafted and based on real life experiences in the world of sales. In addition, depending on the client needs bespoke sales training is available upon request. Following a cohesive review of the academic literature and primary research. A contextual framework has been developed to illustrate the explored variables and their relationships (Miles and Huberman, 1994). Figure 1.0, highlights the distinctive characteristics and limitations of SME marketing. Thus, due to these constraints small businesses fail to understand and implement new forms of marketing (Carson, 1990; Gilmore et al., 2006). The conceptual framework takes into consideration both the advantages and the complexity of adopting green concepts. The literature throws up many ways of adopting green marketing, however this study puts emphasis on defensive, assertive and strategic alliances, which Mendleson and Polonsky (1995) indicate, to be the most suitable in developing green marketing. Given the shortage of disagreement within the literature regarding the utilization of green marketing by SMEs as part of their business strategy (Darcy et al., 2013; Dean and Pacheco, 2014; Azad et al., 2013), is considerably due to many academics choosing to explore the role of green marketing in a larger organisational context where resources and marketing expertise is plentiful (Resnick et al., 2011). As a result, research will be conducted appreciating the view of Grain and Leverton (1990) of the importance of empirical evidence to fulfill a gap in the literature. To however ensure the research undertaken contributes to the academia, below are three questions articulated by the study. 2: How do small businesses deliver green marketing? 3: What recommendations could be made to help (SMEs) develop green marketing? Following on from the research questions outlined above, Saunders et al (2012) suggests the importance of choosing the appropriate research design to ensure an effective research outcome. Thus, the research will use a qualitative, exploratory approach, putting emphasis on examining of participant interpretation. In addition, taking into account the research context (Bryman and Bell, 2003; O’Donnell and Cummins, 1999). Moreover, several authors have indicated a qualitative approach to be the most suitable when researching marketing phenomenon within the SME context (Hill, 2001; Hill and Wright, 2001), offering the opportunity for deep dialogue with participants (Moriaty et al., 2008), which the study is designed to achieve. Moreover, to report as much depth to the findings, also more decisiveness to the discussion to the subject, a qualitative approach gives the advantage of asking questions such ‘why’ and ‘how’ to interviewees. As a result, obtaining credible value judgment and subjective opinions (Dibb and Simkins 2009; 2005). To assist with the exploratory research Saunders et al (2012) indicates the use of one-to-one interviews as a credible way in exploring a subject. The opportunity to undertake interviews is seen as a “Pandora’s box’ generating endlessly various and abundant data” (McCracken, 1988, p.12), and also, a way to control and for feedback to be easily defined (Denscombe and Martyn 2009). Thus, the research will opt for one-to-one interviews with all participants. In addition taking into consideration (Simpson et al., 2006; Carson 1990;) observation of the owner/manager. In-depth semi-structured interviews will be will conducted; with a list of questions to be asked, however the structure of each interview may vary (Blumberg et al., 2005). Brayman and Bell (2003) further, suggest the order in which the researcher ask the questions will entirely depend on the flow of the conversation. The use of semi-structured interviews according to (Saunders et al., 2012) gives the researcher the opportunity to probe answers where it is felt the interviewees should built upon their response. Bryman and Bell (2003) add, participants will use words and statements in way that if probed, can add significance and depth to the data obtained. Conversely, it is vital the implication of semi structured interviews to be taken into consideration. Silverman (2009), suggest most researchers mistakenly fail to realise the way in which they interact with interviewees can have an affect on the data collected. In support of such argument Saunders et al (2012) emphasize there to be different forms of bias. The interviewer being the first cause, where a behavior or tone can have a significant impact on the responses received. Furthermore, it is also suggested bias can occur through the interpretation of responses (Easterby-smith et al., 2008). The second cause of bias relates to the interviewee. The intrusive process of taking part in an interview is acknowledged, especially in the case of semi structured interviews (Quinlan, 2011). Despite the interviewees willing to take part in an interview, they may practically be very sensitive to taking part in the exploration of certain themes (Bryman and Bell, 2003). An argument supported by Silverman (2007) suggesting interviewees may detest, or refuse to elaborate on issues in which the researcher chooses to explore. As a result only a partial picture of the situation will be given, where the respondent cast him or herself in a socially desirable role (Saunders et al., 2012). Having demonstrated the data collection method to be adopted and the limitation previously outlined, it is argued the ‘exploration of the mental world of respondents to be key’ McCracken (1998, p.9). It is imperative every factor that could affect the data collected to be considered. Thus, the researcher suggest for each interviewee to select the location in which they wish to undertake their interview. As a result, this will stimulate a comfortable environment where the interviewee will feel relaxed and will to participate in further dialogue (Moriaty et al., 2008). The interviews will last for approximately 35 to 45 minutes, all of which to be conducted by the researcher. In addition the significance of ethical practices is taken into consideration, thus, providing interviewees with aliases by their Job title (i.e. Key Account Manager), ensuring maximum anonymity (Braun and Clark, 2006). Following the indication of the interview structure, opting for the right sampling method is imperative. Blumberg et al (2005) and Tongco (2007) suggest probability sampling enhances the notion of generalizability and also reduces researcher bias. According to Bryman and Bell (2014) however purposive sampling enables there to be a difference in respondents. In support of such argument, Patton (2015) and Quinlan (2011) emphasize purposive sampling to be the best method, which allows in-depth understanding into a small sample. For these reasons, a (maximum variation) purposive sampling technique will be considered. In support of such decision, Saunders et al (2012) argues this form of sampling will demonstrate a selection of characteristics amongst respondents; suiting the distinct nature of an SME. In order for a sufficient sample, it is eminent not only the right sample size is chosen but also the most significant respondents to represent the context of study (Patton, 2015). Six interviews will be undertaken, which Guest (2006) suggest will enable theoretical saturation; aligning with this research. The opted respondents and their characteristics are documented within Table 1.0. Each interview was recorded and transcribed with transcript amounting to 45 pages of text. Also, as suggested widely by practitioners (Saunders et al., 2012; Blumberg et al., 2005) due to the nature of the exploratory nature of study, an inductive approach to analysis will be will be adopted. The recommendations of Miles and Huberman (1994) will be followed for thematic analysis as a way to identity themes and patterns. Stage 1 Firstly, interviews for all six respondents were transcribed and read several times to enable familiarization. Stage 3 The researcher then started to highlight matching words throughout the interviews for each respondent. Moreover, coded any intrinsic sentences from each interview transcript. The collected data was put in tables ready for further analysis. Stage 4 At this stage cross-referencing was used, to marge similar categories, this enabled the researcher to come up with initial six themes. Stage 5 At this stage the researcher had decided to merge the fifth theme into another and the sixth to be discarded due to being less pertinent to the study. The data analysis from the sample size of six respondents (See, Table 1.0), four themes emerged from the interviews; each theme is discussed fully using indicative quotes to support it. Additional commentary is provided (see, Table 3.0). To a large extent, the analysis underpins the current issues of SMEs and their relationship with marketing. However for our imperative understanding the data is further examined to deem the key features and issues of SME marketing activities (see, Table 4.0). Highest qualification – A levels/ Grade (CCC) “Arr recycling here and there but generally I don’t think we did anything in these lines ethically”. “The organisation doesn’t have money to pay for skilled staff in the marketing department” “Marketing doesn’t play an integral part of the business, we are very sales orientated I believe” “For this business, it is very much short term thinking, we do not think about the long term which could improve the business image and hence make a profit from that”. A key theme that emerged was ‘the definition of green marketing’ overall what emerged was a sense of confusion to the suitability to such concept to a small business with a very low carbon footprint in the B2B sector opposed to a larger organisation in the B2C sector. As, commented by the Owner/Manager. “Its not something I hear bragged about in this environment […] if you were talking to me and I was the marketing director of Coca Cola for example it would be a different story … we would be pressured but also I would think […] lets do it so we save money from packaging that sort of stuff”. The belief that the concept of green marketing lacks the power to bring any competitive advantage to a small business operating in the technology sector with a hand full of clients who are perceived to have very little or no care for such concept as an added value to a business proposition is supported by the Data Manager. “The amount of times that I have been asked by clients whether we are green operational or environmentally friendly […] I don’t think we have ever been asked that question not even from the government honestly”. A contrary argument however was put forward by the HR director, who suggested the concept of green marketing should be one that is adopted by all organisations regardless of the size or the level of pressure received by any environmentalist or government bodies. “I have always been a big fan of keeping the environment tidy and operating efficiently […] ethical belief is a great belief, and any business culture could be adjusted to fit the belief […] it is a shame really isn’t it people don’t care for the environment and I think bigger companies need to set better examples […] us small businesses are ahead”. A common agreements between the rests of the respondents however, suggest small businesses lack power in the relationships with their counterpart, there is a sense dependency on larger organisation for both new and ongoing business in order to survive within a dynamic business environment where only a considerable amount of customers exist. “We cannot turn around to them and say oh no we are really ethical and green […] we refuse to work with you unless you comply with our believes […] as a small extension to a larger organisation I don’t think we can do that for our sake” (Account Manager). “It is inevitable that we comply with their mission or else we loose business accounts that could mean the end of our business” (Finance Director). As pointed out within the literature, the contradiction surrounding green marketing highlights the tactical nature of small businesses opposed to being more strategic in terms of marketing (O’Dwyer et al., 2009). Gamble et al (2011) indicate marketing activities is SMEs are highly influenced by the owner/manager who it is argued their greatest challenge to be accessing new established networks to gain marketing knowledge. This perhaps suggests the lack of understanding and observation of such phenomenon to marketers over the years is seen problematic and troublesome to the organisation (Krate, 2005). When prompted to discuss their marketing function in more depth, most of the respondents point out that the availability and credibility of resources to be one of the key barriers the business faces in the articulation of any marketing strategy. The inadequate accessibility of finance meant certain ideas could not be pursed. “The matter of the fact is small businesses don’t necessarily have the budget to put ourselves out in the market place […] we sometimes see what competitors are doing but we cant challenge” (Key Account Manager). “There is a lot we cannot do as business because of the financial limitations such as being innovative […] we not capable […] we cannot bring someone in to help […] it all falls down to cost and budget constraints ”(Data Manager). It emerged from the interviews that lack of capital was the fundamental barrier to the scarce of skills within the marketing department. The organisation struggles to keep up with any marketing initiatives “We lack training and experience when it comes too social marketing […] we just haven’t got the budgets to be up to speed” Owner/Manager. The lack of skills also meant the exploitation of marketing intelligence was an issue for the business as commented by the key Account Manager. Also, from the interviews there was a perception the owner/managers lack fundamental skills mainly around ‘poor people management’ in order to maximize on marketing activities. “We had a temporary marketing manager, who I’m not sure what she was doing for the business to be honest […] she would come in few times a week and spend most of her times in meetings […] I have had several conversations with members of staff and they share the same view” (Account Manager). Evidently, for small businesses the lack of resources remains a critically affect to the marketing function (Carson, 1990). The idea of having a full time dedicated marketing consultant to respectively take care off all marketing activities was desired, however not considered due to insufficient financial resources. Moreover, the idea to acquire any financial support was also not on the agenda. According to BIS (2013), 46% of SMEs in 2012 decided against simply because of the exception of rejection. Conversely, the constraint of ‘poor people management’ according to the early study by Low and Macmillan (1988) suggest SMEs find it difficult to inadequately distribute or delicate task across the workforce in order to utilise the full potential of any marketing activities. No pressure from clients, environmentalist and government to be green. Difficulties to compete with competitors due to budget constraints. Difficulties in understanding the concept of marketing. This theme emerged by analyzing the interviews and it showed the business tend to grow organically and the fundamental marketing approach is through networking and word of mouth (WOM) which are perceived to be integral not only to growth but also survival (Gilmore et al., 2006; Reijonen, 2010). “We would attend industry events and we would walk about and talk to people […] with our business cards these sorts of things […] it is very important for us to increase our network so we could continue to grow” (Owner/Manager). “85% of the business is on referrals because we have a good name in the industry […] I would say that is mainly how we grow as a business through networking and word of mouth” (Key Account Manager). Although, marketing centers around networking and WOM for the business, an intrinsic online presence was introduced as part of the marketing strategy. However, the business struggled to utilise the concept to their advantage. “Hand on heart No! I don’t think tools such as twitter, Facebook LinkedIn are utilised as much as they could be […] we started realizing business articles and engaging with different people but then again that tailed off […] the strategy was sound but the delivery was poor”(Key Account Manager). The business continues to find the concept of marketing one that is difficult to persevere with over other business functions. As, commented by the Finance Director “Marketing is a very much an after thought”. Failing to realise how an online presence could benefit the business, the pressure constantly piles on the owner/manager ‘to become the marketing’ continually strived to obtain and maintain both new and old relationships. With the ultimate aim of survival, it emerged the business has a very narrow mindset. The business is very much concerned with activities that yield short-term financial impact, which largely consisted of making sales (Stokes, 2000). A sense of instant capitalisation of every business activity was key to the business, the question of ‘how can it help us pay our expenses this month’ seemed to be the foundation to every business decision by the Owner/Manager. From looking at the interviews it was evident some of the respondents, very much opposed the short term and reactive view of the business. There was common agreement that the mentality of the owner/manager has a major influence on long-term marketing decisions. “The owner/manager need to understand you cannot just do things as you go along, you need to plan step by step and also stop pretending to know everything, making sales isn’t everything!”(Account Manager). “Outside of our currently marketing strategy, we haven’t got a next stage yet, because we haven’t thought about it yet […] the owner/manager has a sales mentality […] long term marketing is not on the agenda“ (Data Manager). It surfaced from the interviews that the business has a comprehensive focus on short-term marketing orientation, which consisted of the execution of some limited marketing task where the reward is instantly noticed (Blankson and Stokes, 2002). Furthermore, a perception emerged amongst respondents that there is too emphasis on how individuals perform rather than collate that time to plan effective marketing strategies for the long term which currently is seen as surplus to the marketing strategy (Hansen and Juslin, 1999). A critical review of the literature suggests the characteristics of SME marketing are different from those practiced within the confinements of larger organisations. The marketing approach by SMEs takes into consideration the unique business environment, owner/manager characteristics, which consist of their abilities, skills and resources (O’Dwyer et al., 2009). The study found there to be much reliance on engagement with customers; word of mouth (WOM) and networking in being their main marketing characteristics and such findings support the existing literature (Roijonen, 2010; O’Dwyer and Carson, 2009). In addition this study found marketing wasn’t very much a strategy integrated with the organisational overall strategy; marketing is seen a separate function of the business that doesn’t necessary yield financial impact in the short term compared to other business functions. Thus, in most parts perceived to be peripheral to requirements, supporting the early study of (Carson, 1990). In addition, with financial constraints, the findings suggest marketing in SMEs to be practiced with inadequate conceptual understanding and also, with little or none of the specific required skills. Hence, as indicated by Simpson and Taylor (2002), most SMEs perceive marketing as one of the most problematic functions within their business. It therefore, does not come as a surprise from the findings green marketing like any other form of traditional marketing is considered to be problematic and troublesome to incorporate as an intrinsic part of the marketing strategy (Karate, 2005, p.229). As suggested by the literature and further supported by the findings, SMEs fail to undertake any form of long-term marketing planning. Hence this could suggest why SMEs perceive there to be very little value to be derived from green marketing in the short-term. Thus, a key finding that emerged was SMEs do not consistently deliver green marketing; there is a miss interpretation of the concept and how it could be beneficial to a small B2B organisation within the IT sector. The study throws out many issues and considerations that could help inform more businesses to deliver green marketing in a small business context, these are discussed in the next section. As suggested within the literature adopting green marketing has a variety of approaches for businesses. A critical review of the literature, however suggest it is imperative for businesses to initially have a motivational factor to support any green marketing ambition, which in most small businesses seems to be a key issue (Lee, 2009). Several academics over the years have highlighted several factors such as; a moral obligation to the environment (Davis, 1992), a cost reduction opportunity (Azzone and Manzini 1994) or to achieve business objectives (Shearer 1990; Keller 1987) as successful foundations to any green marketing initiatives. With significant evidence to suggest green marketing can yield a competitive advantage for businesses, this is only realised for organisations that show high commitment to the course and yet take the required or expected steps (Leonidou and Leonidou, 2011). Thus, it is recommended small businesses need to be more proactive rather than reactive and incorporate green concepts and ideas within their overall business strategy (McDaniel and Rylander, 1993) and culture (Miles and Covin, 2000). For SMEs within the B2B IT sector, an assertive approach as suggested by McDaniel and Rylander (1993), will result to being the ‘first mover’ and also operating more green than expected by both by the government or customers. In addition, being the first mover is critical to green marketing; it will allow SMEs within such small and competitive environment to profit from the image build upon the marketing concept. The assertive strategic approach for small businesses, will force them into long term planning mode as suggested by McDaniel and Rylander (1993), it is argued this behavior could in turn be a fundamental asset to the SME marketing as a whole. The inevitable success for SMEs in long term planning is supported by several academics (Carson and Cromie, 1989; Siu, 2005). To form a strategic alliance would also be an effective way in adopting green marketing for SMEs, whiles the extensive time spend on research and choosing the right partner could prove challenging and expensive. It is recommended SMEs should opt for exclusive and genetic alliance due to resources constraints; this will enable the organisation use the chosen environmentalist logo and incorporate there believes across business operations and marketing. According to Mendleson and Polonsky (1995) the results of this strategy are less scrutiny, confusion and more credibility in marketing. Marketing research in general has been dominated by the characteristics of larger organisations (Iravania et al., 2012). Moreover, much of the research on green marketing has been within the confinements of larger organisations in the B2C sector opposed to the little or no research into green marketing in the context of SMEs in the B2B sector. The aim of the paper therefore is to understand how the concept of green marketing could be adopted as an intrinsic part of the marketing function in a B2B SME context. In relation to the first research question, the research found marketing in small businesses to be troublesome and problematic. SMEs fail to understand how marketing could prove essential to their business operations and with survival often the main aim that is relatively perceived to be dependent on sales (Stokes, 2000), marketing is seen to be peripheral to the organisation (Carson, 1990). With these issues in marketing, it was found that SMEs inconsistently deliver green marketing; despite some elements of green initiatives tend to be implemented such as basic ‘recycling’ there fails to be any formal implementation of rules or regulations within the business confinements to convey and support any green activities being undertaken by the organisation. However, the difficulties to adopt such phenomenon in the marketing literature (Drumwright, 1994) could be argued that because small businesses are not doing textbook marketing, the application of such concept to their business would be seen as unnecessary luxury (Reijonen, 2010). And as with most SMEs in the B2B sector seen to be extensions of larger organisational needs (Darcy et al., 2014), the marketing knowledge is centered on their relationships with suppliers and customers, providing them with specific requirements such as bespoke IT systems or specific range of goods and services. The research however also indicates the mindset of the business has a key role to play, in any formal marketing implementation, the narrow vision of small businesses mean any formalization of marketing activities that requires long term planning is relatively not considered to be essential and with limited resources constraints, spending time on effectively constructing a long term marketing strategy would be surplus to requirements; because there is a believe that everything SMEs undertake should be capable of yielding profits in the short term. Hence why the literature suggests despite other business functions SMEs remain highly sales focused (Hogarth-Scott et al., 1996). Consequently, for small businesses the right mindset is intrinsic to any future growth. The above analysis, suggest with the right mindset SMEs can adopt a marketing approach that could yield long-term value for the business but also effectively compete in small and dynamic markets. With the increasing rise in green awareness, it is argued to become a critical issue for SMEs in the long-term to consider green marketing for survival and competitiveness (Lee, 2009). Hence, there is significant need for more support from the academic community in order to understand this phenomenon in more detail to unearth how the concept of green marketing could be an intrinsic part of SME marketing and also the effective contribution to the environment. Undauntedly the generality of this study must be acknowledged; the study was limited to the research on one SME context and six respondents. This is recognised by the researcher to not be sufficient in researching such an under explored topic within the marketing literature. It is therefore suggested for future research to be expanded amongst a larger number of small businesses across the country in order to gain more depth and understanding. Furthermore, as indicated by Saunders et al (2009) the researchers previous association with the respondents may have caused bias in the responses received due to some respondents perhaps casting themselves in a more desirable position. Thus, to improve the reliability of future results there should more researchers involved as part of the study to avoid any chances of previous association with respondents. Although, several limitations have been identified, this paper has contributed to identify signs of positive implementation of green marketing initiatives in the SME context such as energy saving efforts and recycling. It would be interesting to compare the findings with another SMEs to perhaps understand to what level incremental green initiatives plays a part amongst small businesses.